With iOS upgrades Apple is upgrading all apps so does the mail app. 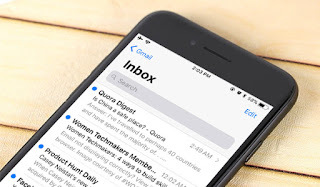 Mail app is great mail features and easy to use with different mail types like Gmail, Yahoo, iCloud, Aol, Outlook and Other custom mail server. But after the upgrade mail app is facing many issues. iPhone 7/8 , iPhone X and an iPad Air 2 user after upgrading to iOS 12 are not able the use the mail app anymore on both type of devices, as it always crashes at the start. Even trying to delete and add the account did not help to fix the mail app crash on iPhone. The issue is reported with exchange server like msn.com, outlook.com etc. The mail app on iOS 11 crashes even before opening and this is very frustrating. 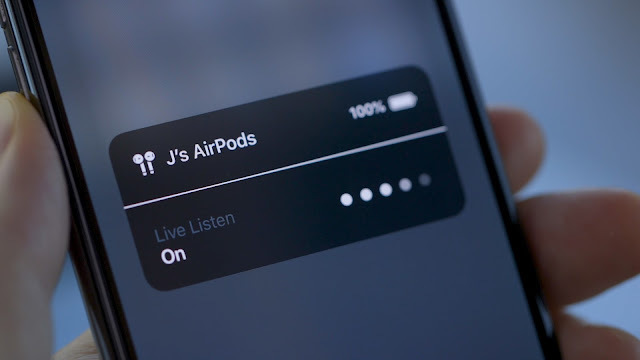 Apple don’t have comments on this so far. 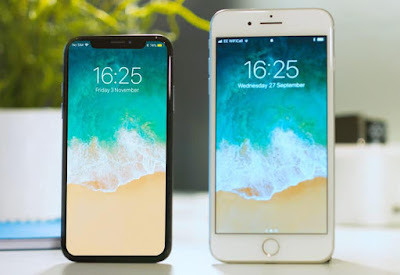 Randomly happening issue is faced by many iPhone X, iPhone 8 users with latest release of iOS 11.2. A black screen comes up with a circle spinning randomly. After updating to iOS 11.2, it happened black screen loading circle when swipe up and down frequently at the bottom of phone, also Hitting the camera button seems to trigger it as well. Below is the video that one user captured while the issue is happening. Lots of users have been reporting iPhone X/8 Plus black screen with loading circle. Their iPhone appears to be dead and won’t turn on. You should try to hard reset your iPhone to check if that helps. Fix 1: Apparently it’s an Apple Bug, for the meantime; disable ALL your notificationsfrom the settings. Do it for every single application. 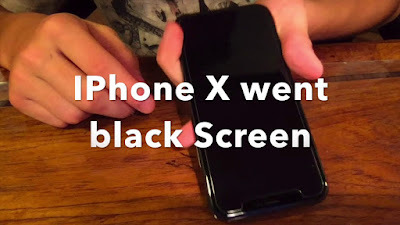 This may prevent black screen issue on iPhone X/8. Some iPhone users are seeing exclamation mark on side of photos in iPhone. This is strange as no message or information is provided with it and is just an exclamation mark on the corner of a photo without any explanation. The exclamation mark is also seen on iPhone7/8 is also on iOS 11. 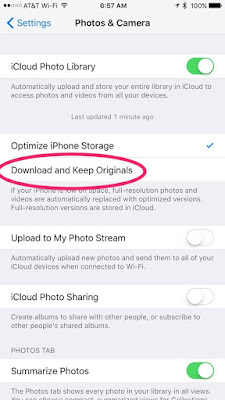 Many user are not aware of this indicator and gets worried as this is related to their iPhone photo album. User tried to reboot the device but seems like it does fix spotlight issue for a while but will come back after sometime. 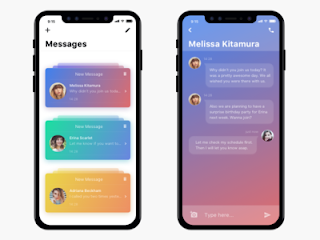 Not all iPhone 8/7 users are reporting the issue but is reported by many users. There are few workaround that you may try to fix the Spotlight issue in iPhone on iOS 11: Solution 1: Reset Spotlight preference Shut down all the spotlight switches in Preferences/General/Spotlight. (Settings → General → Spotlight Search → SEARCH RESULTS). Then hard restart the phone. Toggle on only the contact switch in spotlight. Wait for a few minutes and all the contacts must appear now. Later, you can enable other searches if you want. 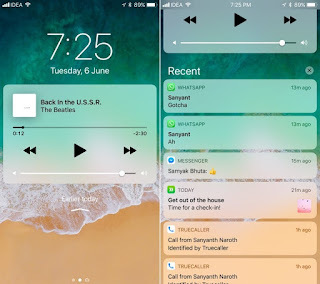 Many users after upgrading to iOS 11 are facing issue with notification while playing video. In the iPhone 7/8 on iOS 11 while watching any kind of video and receive a notification that video will pause when notification comes. This is annoying while watching any video. 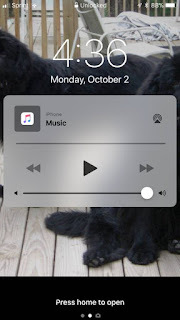 Since there are no update from Apple yet but a workaround to listen to music without audio notifications. You can try to switch to silent mode using side button, and when all the notifications comes up, hopefully they no longer interrupt the music. Many iPhone users are facing the issue that in iPhone 8 and iPhone X flash did not work in the cold weather when temperature is low or minus degree. When try to take a pic with the camera the flash is not working but the flash itself works turned it on from the control panel. However it looks that it does turn on a bit but it’s just for a second and it is very low light you can hardly see it. Seems like the issue is linked to surrounding temperature and iPhone X/8 LED stop working when it’s very cold. There is no error message or anything on phone. 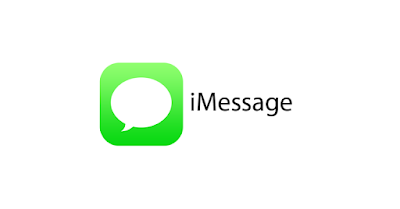 Apple has provided iMessage in all their iPhones to send pictures, When you send a photo/picture or any media file (now we're talking videos too) through the messages app, it can be sent via iMessage or as an MMS. But many users after the upgrade to iOS 11 find issue with photo share using iMessage.When want to share a picture, noticed that the green message icon is missing from the send to/sharing list from the photos app. The icon was there with iOS10 but after the iOS11 update, when in photos and want to send a selection via iMessage, you may not see that option...only email, airdrop...not iMessage. 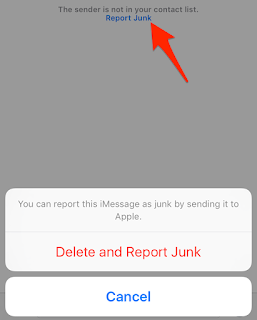 Fix: How to fix not able to send photo using iOS 11 When Contacted to Apple support and indeed they confirm that specific functionality was removed as part of iOS11 update. 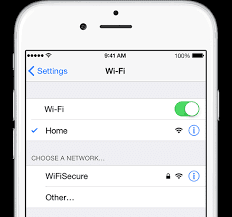 But in case you want to transfer the photo using iMessage in iOS 11 Make sure MMS is Turned On: Go to Settings → Messages → and make sure MMS Messaging is turned on. 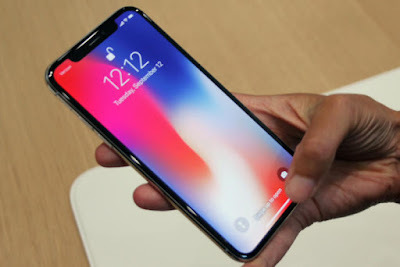 iPhone X released with many advanced feature is also reported with many issues. One such issue is with is while on call other person can’t not hear voice from iPhone X. The other person called often report that the call volume/sound faint at times or they can’t hear me at all. The issue is reported as intermittent sometimes callers can hear fine sometimes not on a call. This becomes annoying as users have to yell on call and all of a sudden the other users start to hear while yelling at them. 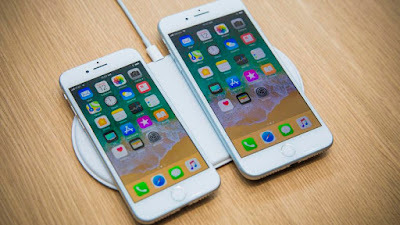 iPhone 8 and iPhone 8 plus are latest version of iPhone available but unfortunately these devices are also facing many major issue. One such issue reported by many users us when iPhone 8 screen becomes unresponsive out of nowhere. When trying to tap an app icon on the home screen the phone was unresponsive. The screen of iPhone 8 became unresponsive. 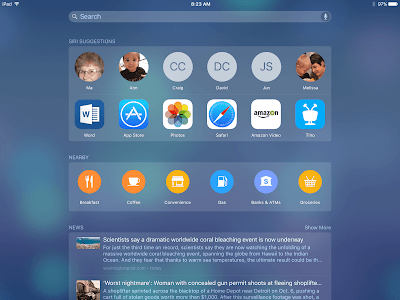 Force touch also does not work.No response to any swipes or presses or taps on the home screen. This is causing major issue as in iPhone 8 won’t be able to do a normal "slide to power off" Shut Down with the power key. 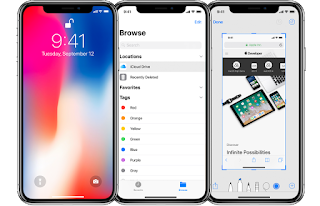 Many new iPhone users who upgraded to iPhone X and used their old iPhone backup are seeing an issue that they are noticing the battery widget (from the swipe down menu) says “iPhone 6s Plus” ( or the old iPhone model they have). 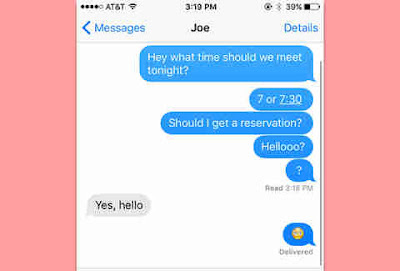 It’s just displaying the wrong phone description it has the iPhone X symbol next to it. Other than this issue users do not see anything other issue with backup import from old iPhone. Not that this is a bug, It is quite possible that importing an iCloud backup onto a new device bring over the same glitches and/or bugs from the previous device. To Correct the name in iPhone X battery widget please Go to settings - general - about Then change the name of your iPhone to whatever you want. This will fix the issue.